Problems you encountered, fixes if any. 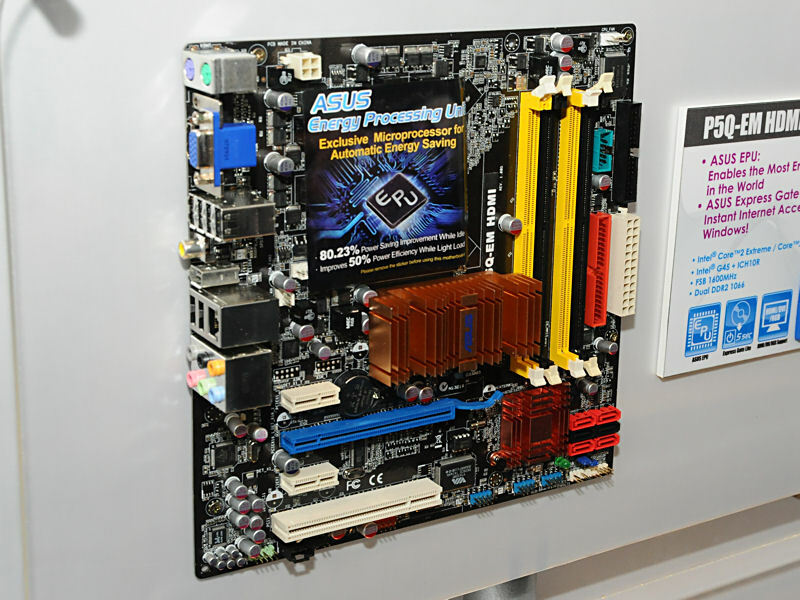 some of the MoBo eg. now being Linux an open source shouldn't that be an easy fix?? It's not a 3rd party issue if they don't expose that part of the hardware functionality to open source developers. Do you have a link to where you saw that? That's about player software in winders. The only mention of linux there is that drivers are probably available, which they are, but still no mention of hardware acceleration in the linux drivers. From experience, I have to assume that hw acceleration in the linux driver isn't available for this chip, but I'd like some confirmation if anyone can find out anything about it. I've been unsuccessful thus far at finding any information specific to this question. 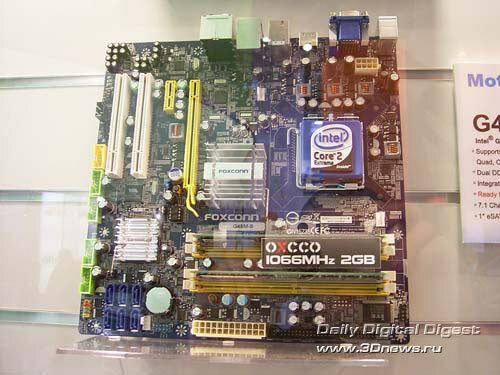 there must be at least 1 Linux user that's using this board..
Why would you want a board that uses DDR3? 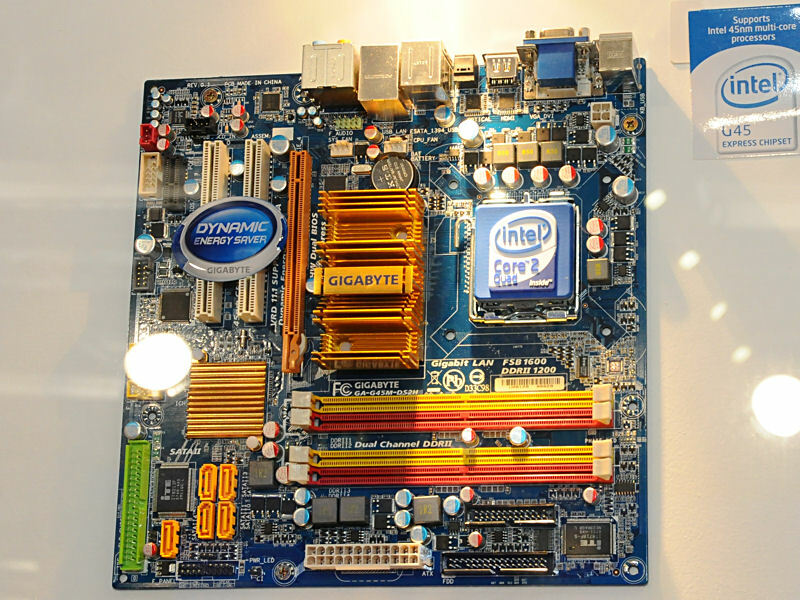 I would only buy a board that uses DDR2, given current almost-free DDR2 RAM prices. Plus, the wait-6/8-months rule applies. 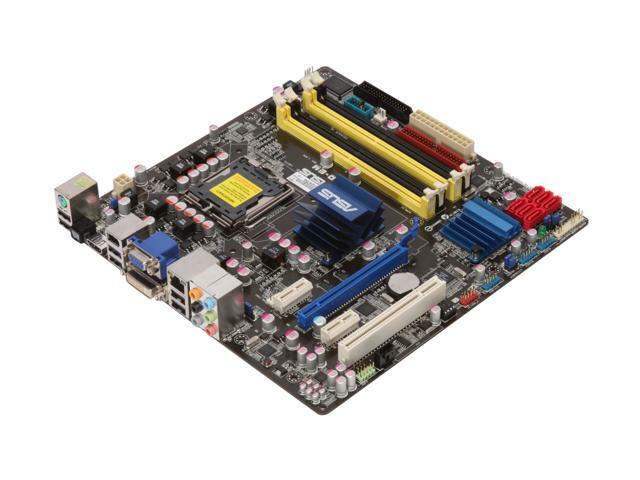 Regardless of OS, I have always waited at least 6 months after a board hits the streets and is in avs member's hands with lots of early adopter reports, BIOS updates and driver fixes before I consider buying any board, whether back in my XP days or now with Linux. He lost me when he said "Intel". Go ahead and SHARE your L2 cache. It won't cause any bottlenecks. I promise. BTW, when it DOES cause problems, my consulting fee is $200 initially and $90/hour thereafter. Let me know who's a clown when your shizzel doesn't work. I've tried to help you, but you ignore my suggestions for whatever biased reasons you may have. Let's behave here, guys- no name calling, stick to the functional/performance issues. by the way what destro are you guys using? I highly recommend Mint 5.0r1 or Ubuntu/Kubuntu/Xubuntu 8.04.1, though Ubuntu 8.10 appears to be coming along nicely. kubuntu and mythbuntu, but I'm also a gentoo guy, SUCKA MC! I'm running Ubuntu 8.04, but I've read that the kernel in that release does not support the SATA2 ports on some of the newer MBs while the kernel in 8.10 does. So you might need to go with the distro with the newest kernel you can find for that new MB. I don't think the 965 chipset has support for XvMC yet, so any hopes on the G45/X4500 in that regard are likely to be met with disappointment ... at least for the present ... maybe Dec ? (just a guess on my part) ... seems like a lot of things for the intel driver will really come together around then (in terms of a in kernel, out-of-the-box experience). Wow, I was hoping for some substantive discussion here, not piffle... Looks like I'm the only one actually trying to get this going. Have the Asus board & Dinovo Edge BT keyboard, running Kubongo 8.10alpha4. Don't bother with 8.04; won't boot as it can not recognize the SATA2 controller. - Can not boot to the parallelIDE. Must use a SATA optical drive. Can plug a VGA monitor in to see/set BIOS and boot. (despite what the manual says) I have not been able to get video out of HDMI yet. - Do yourself a favor and delete rc symlink for bluetooth, if BT keyboard; although still must un/replug dongle to make it work on reboot. - And delete rc symlink for NetworkManager, as the NIC doesn't work with it. Only way I've found to get the network going is to edit /etc/network/interfaces. -With alpha4 you'll get KDE4.1, so you must relearn alot, but after persevering I find it is fairly functional, although not nearly so as 3.5. As soon as possible do an apt-get update and dist-upgrade. Then install adept, whereupon you'll find it won't run as user; must sudo to run. Now search on KDE and install all the goodies. - Next you'll want to install the Intel graphics drivers. (intellinuxgraphics.org) After installing many dependencies (devs) I managed to get the driver proper compiled and installed. You will find that now xorg makes the xorg.conf essentially on the fly, and it is not advisable to modify it. So I am unsure how to set the display driver to 'intel'. - And all instructions everywhere for compiling mesa and drm are just flat wrong. No idea what to do here, as these do not appear compilable. No good to us. This is where I am stuck now. And don't bother trying to compile linux-kernel-2.6.27 right now... it's busted. My plan is to next install MythTV (if I ever get the drivers compiled), but my only day off is about shot now. Fortunately my optical drive and hard drive are both SATA so I'll avoid those problems once I get to the point of installing linux. Sorry. I'm usually helpful, but sometimes I'm pretty loaded when I post, so if you see me getting agitated and flippant, then you'll know what time it is. Anyway, you'll HAVE to edit xorg.conf to switch to your intel driver...just back it up first. Cool. Yes it seems that the new xorg autosizes, and xorg.conf is only a config file nominally. It's not clear what changes to it are allowed, and on the next update any prior editing will interfere. As to drm and mesa, they have no config nor even config.in files. All instructions everywhere say compile it starting with ./autogen ... but eh, there is no autogen script. drm appears to actually be kernel module source, but substituting it into the kernel for compile causes compile failure. I can see how mesa may not be needed, but I am fairly sure drm is needed for acceleration. 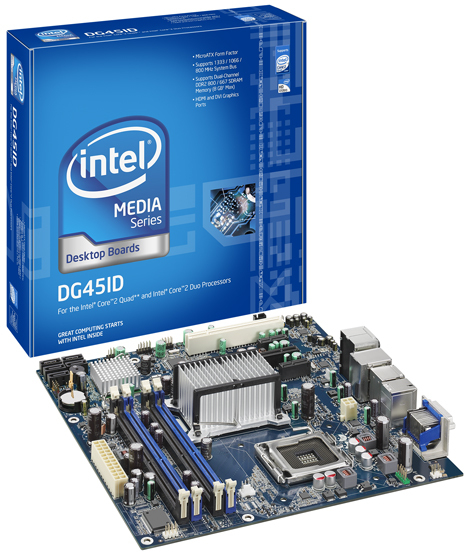 I have the Intel DG45ID board and Gentoo/x86. 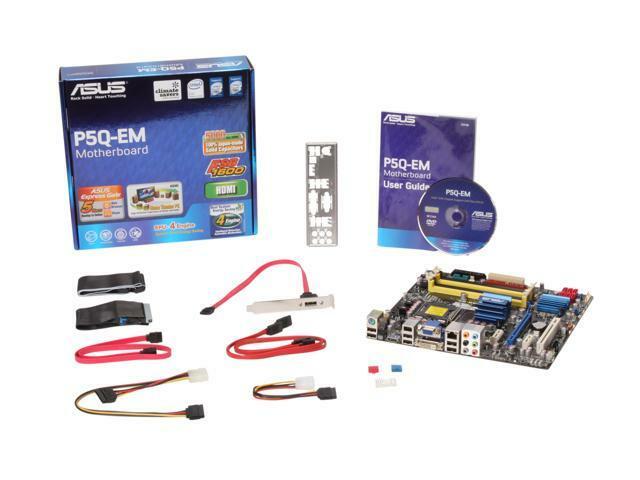 I bought it intending to set up a mythtv/dvd/video/mame box with an eye towards possible future blu-ray support. My experience thus far is that the gpu is just not usable. I've experienced X crashes starting a window manager (fluxbox), changing the root window image, moving xterms around, starting mythfrontend and exiting X. In all cases, control of the display is not returned to any other process; the screen with either go blank and show a 'video mode out of range' notification, or the display and input will just lock up. In both cases I have to reboot to get graphics back. I have experienced marginally better stability using XAA rather than EXA (the driver defaults to EXA). It's likely that specific software versions are necessary for best operation - I have not found a resource specifying minimum versions for anything, so I am just using whatever gentoo has marked as 'stable' (aside from kernel and driver). I am using xorg server 1.3, mesa 6.5.2, kernel 2.6.27-rc5 with in-kernel 'i915' drm and then the xf86-video-i810 2.4.2 driver. I know some 3d support was specifically added in mesa 7.1 and its possible that I need a newer xorg server as well. The guys at phoronix have put this through their test suite and I don't recall reading about how awful or unstable it was, so obviously it works well for someone. Maybe since Mesa 7.1 is officially out, xorg 7.4 will come within the next couple of weeks and packages/ebuilds soon after. I have not tried the audio so I am not sure if there is any disappointment waiting for me there, but I do not plan to switch hdmi through a repeater so I am not anticipating an issue. Nah. Old news from the A2 stepping, corrected on A3 (production release). Of course, the HW acceleration architecture is still not exposed yet in Linux, from what I understand, so it hardly matters at this point. but I do work there. It's likely that specific software versions are necessary for best operation - I have not found a resource specifying minimum versions for anything, so I am just using whatever gentoo has marked as 'stable' (aside from kernel and driver). I am using xorg server 1.3, mesa 6.5.2, kernel 2.6.27-rc5 with in-kernel 'i915' drm and then the xf86-video-i810 2.4.2 driver. 2.4.2 looks right... but are you sure it's i810? I thought the i810s were the old drivers. Repeater mode is not an issue unless you are trying to play back AACS protected content on a Windows software player which doesn't support OPM. [checks thread location] Doubt it's an issue. Oh sh*t. So there's no point in compiling the drivers. X is very stable for me, although tightvnc and krdc crash so much as to be unusable. Occasionally on boot the VGA terminal goes black and into standby mode. No way to recover except reset, but this is only like every 5th boot. Never crashed on me while in operation. saxon, you definitely do not want the i810 driver. At least specify the intel driver, which covers all up to the G35. My -compiled- intel driver went into /usr/local/lib/xorg/modules/drivers, but xorg can't find it. When I deinstall the stock xorg driver (xserver-xorg-video-intel), no more X, so it is necessary to graft the new drivers into the stock location. Make an oem subdirectory and move the old drivers (ch7*, i8*, in*, iv*, sil*, tfp*) there. Then copy the contents of /usr/local/lib/xorg/modules/drivers, here. Set xorg.conf to the intel driver and reboot. You're now running on your compiled Intel drivers. It's the same driver. /usr/lib/xorg/modules/drivers/i810_drv.so is a symlink to /usr/lib/xorg/modules/drivers/intel_drv.so. I get the same messages in the xorg logfile regardless of which name I pick. What I am not sure about is whether I have the right drm module - I can pick between i810 and i915, with the former not working at all and the latter seeming to work. I am currently upgrading to xorg-server 1.4.2 and related bits, to see if I have any better luck. When I lose video, the logfile shows that X locks up and dies with 'Error in I830WaitLpRing()'. I see that this is not an uncommon error, but most of the posts, etc. I have located are from a long time ago.